We offer competitively priced service agreements to cover the key components of your Zeiss LSM 310, 410 and 510 Confocal Microscopes. Email us for a quote today! Includes priority emergency service and preventive maintenance. 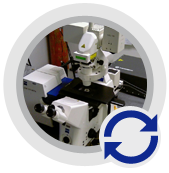 LSM Tech provides maintenance agreements for terms of one to three years, to ensure that your microscope system stays in peak operating condition. These maintenance agreements include a yearly preventive service visit during which your system is thoroughly cleaned and checked for proper operation and alignment. If necessary, the alignment will be restored to factory specifications. Labor, travel costs and replacement parts are included in the agreement. Some external lasers and power supplies may be covered as an option. 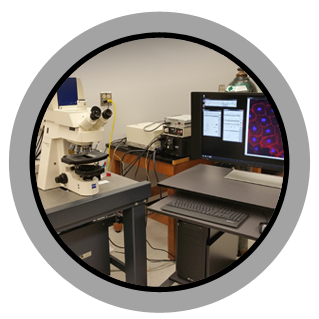 We have an extensive inventory of LSM 310/410/510 parts and systems and will continue to provide long term support for these systems..
We provide microscope relocation services. If your system has to be moved, we can do it! Down the hall, across the country or overseas, LSM Tech can move your system and restore it to peak operating condition at its new location. The system is reinstalled and aligned to its original factory specifications.